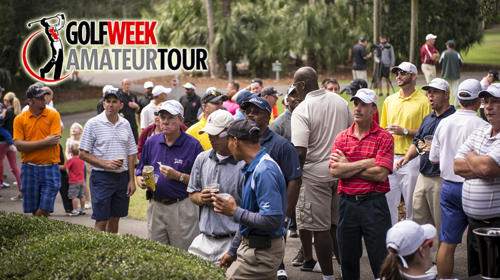 On January 15th over 100 golfers, representing 14 different tours, descended on Hilton Head Island in South Carolina to officially start the 2011 GolfWeek Amateur Tour at the Ice Breaker Open. 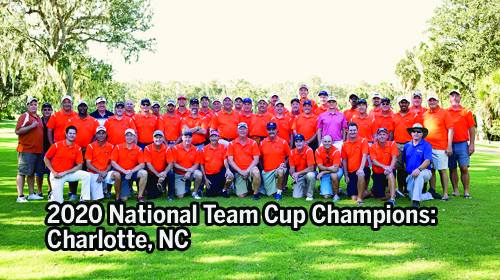 Playing host to this two-day tournament was the Palmetto Dunes Golf Resort on Hilton Head Island. Day one of the event was held on the George Fazio course while day two took place at the Robert Trent Jones course. With the weather outlook calling for low to mid 50â€™s, mixed with wind, on the weekend, the anticipation and excitement started setting in for many of the golfers early in the week. One dedicated player, Zavier Neeley (Columbus Tour), drove all the way through the night on Friday night to Saturday morning from Columbus, Ohio just to play in the first tournament of the season. Many other golfers arrived earlier in the week to get a few practice rounds in before the tournament. Needless to say, this had the making to be a great weekend of golf and camaraderie amongst the many golfers on the GolfWeek Amateur Tour. The Ice Breaker Open. What a perfect name for this particular event and especially for this weekend. The official start for the shotgun tournament was 10 oâ€™clock each morning. However, each day was delayed for an hour to give the sun a chance to, break the ice. I guess we canâ€™t complain too much about the waiting. After all, it is January and we are playing golf right? Golfers began showing up to the course two hours early to check-in, with hopes to get warmed up and ready to go. Once the delay was announced you could feel the anxiety build even more throughout the crowd. Now players would have to wait one more hour before they could get out on the course and begin their quest for that first win of the season. With that interesting beginning to our day and the tournament, many funny stories were told after the round was over. In a scene right out of Happy Gilmore, one golfer actually landed a ball on a foot; his own foot. Standing in a greenside bunker, Thomas Lee (East Tennessee Tour) took a healthy swing to flop his ball onto the green. After his swing he stood completely still. Wondering what happened, his fellow golfers asked him what was wrong. All Lee could say in between laughs was, â€œWhat happens if the ball is on my foot?â€ Thoughts of Shooter McGavin from the movie Happy Gilmore raced into everyoneâ€™s head followed by some good laughs. Another shot that drew the attention of some golfers came off the club of Ryan Thompson (Hilton Head-Savannah Tour). Positioned just 50 yards off the green, Thompson stepped behind his golf ball and surveyed his shot. Thompson had to fly his ball over a bunker and land it soft to a short-sided pin. What happened next was a something that was talked about and laughed about for the rest of the weekend. Taking a nice smooth swing, Thompson sent the ball flying with his sand wedge; only to have the ball come up just short into the bunker and disappear. Yes disappear. The golfers spent a few minutes trying to find the ball in the bunker just to discover that it had actually buried itself in the side of the bunker about three inches deep. Along with the funny stories and great play on the weekend, one of the most exciting parts of the GolfWeek Amateur Tour is the camaraderie we all share. This weekend was not only about the golf tournament and the competition amongst everyone; it was about building friendships, meeting new people and having a good time with friends and family. Over the weekend, numerous players got together to play practice rounds with other. Every night big groups meet up at different restaurants and had dinner. Many of the players brought their spouse with them for the weekend getaway, making dinners even better. On Saturday night, players meet at the XO Lounge for the Pairings Party. Laughs, stories and ideas we all shared. Friendships were made and good times were had by all. This is one of the many things that makes the GolfWeek Amateur Tour so much fun; the camaraderie. Even with all of the funny stories and mishaps on the course, the tournament was a huge success. As mentioned, the tournament hosted over 100 golfers from 14 different tours, a total of over $7500 was given out in prize money and everyone learned what the tour is all about. In addition to the flight skins pot and the closest to the pin pot, something new that was started up this year was the Super Skin pot. This was a pot that consisted of every golfer in the tournament playing for skins. A championship flight player could have a skin cut by a D flight player, which happened on numerous occasions. It is a great pot to get into. Why? Just ask Frank Whitaker (NE Georgia Tour). Frank put in his $20 for the Super Skin pot and walked away with $360 for winning two Super Skins. When asked what the best shot of the day for him was, he smiled and said â€œI guess that 3-iron out of the woods around a tree to four feet paid off.â€ Yes Frank it sure did. As you can tell the tournament was a blast, but that wasnâ€™t the end of the fireworks. The Championship flight (0-3.9 index) winners felt the need to play more than 36 holes of golf to decide a winner. Adam Dozier (Hilton Head-Savannah Tour), Richard Gaines (Jacksonville Tour) and Dennis Adkins(Myrtle Beach Tour) needed extra holes to decide who was taking home 900 points, the first place trophy and the $180 first place prize money. After a few birdies and a couple intense holes, Adam Dozier was able to hold on and claim the win. Gaines comes in second while Adkins takes home third place. Even though the A flight (4.0-8.9 index) did not have a playoff to crown its champion, that doesnâ€™t mean it wasnâ€™t intense. 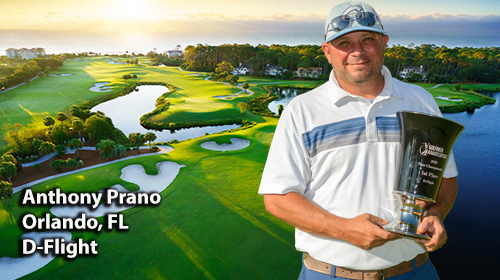 Andre Emery (Upstate Tour) battled the solid play of Randall Webb (Hilton Head-Savannah Tour) and Mike Peters (Hilton Head-Savannah Tour) for two straight days to secure the victory. Emery fired a 76-75=151 to claim the three shot victory over Webb (76-78=154) and a seven shot win over Peters (82-76-158). 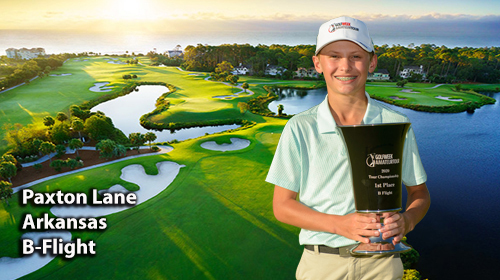 Not only was this Emeryâ€™s first win, it was his first tournament with the GolfWeek Amateur Tour. Congratulations Andre on the great win, the 900 points and the $520 first place prize money! The B flight (9.0-13.9 index) was the biggest flight over the weekend consisting of 28 players. Chris Franklin (Upstate Tour) played a solid two days of golf to claim the top spot in his flight. Franklin was the B flight season long champion last year for the Upstate tour. Obviously, he is picking up right where he left off from last year. Franklin fired rounds of 81-83 to secure the four shot win over Denny Miller (Charleston Tour) and the six shot win over Mark Morris (Hilton Head-Savannah Tour). 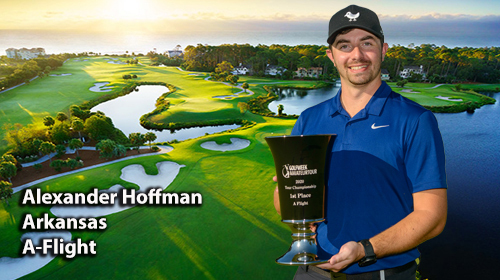 Andrew Dart (Hilton Head-Savannah Tour) improved his score by eight strokes to hoist the first place trophy in the C flight (14.0-18.9 index). Dart went 88-80=168 to claim the seven shot victory over fellow Hilton Head-Savannah tour member Todd Saylor (83-92=175). Coming in third in the C flight was Matthew Crates (Charlotte Tour) who went 88-89=177. The final flight on the tour is the D flight (19.0 and above index). 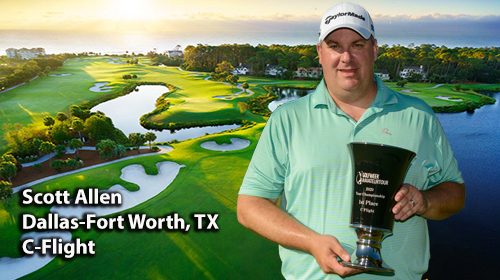 David Bruce (Columbia Tour) was the D flight season long champion for the Columbia Tour last year. Now he is the 2011 Ice Breaker Open Champion. Bruce put together rounds of 89-84=173 to secure the win. KC Andrews (Hilton Head-Savannah Tour), who is a new comer to the tour, comes in second with rounds of 86-97=183. 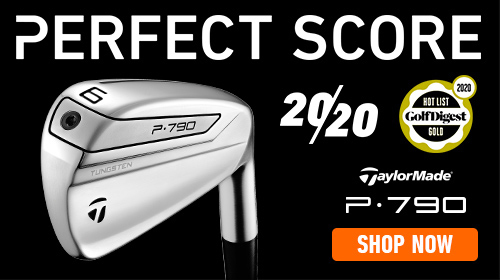 Rounding out the top three was Andy Peterson (Jacksonville Tour) with rounds of 84-100=184. Congratulations to everyone who played and won over the weekend. I cannot think of a better start to the 2011 GolfWeek Amateur Tour season. I would like to thank and welcome all the new tour members, the new tours and new tour directors that made the Ice Breaker Open their first event of the season. Letâ€™s all continue to have a great 2011 season. As always, please remember that not only does the tour host golf tournaments and build friendships; we also raise money for cancer research. Many tours combined last year to raise over $16,000 to donate to Stand Up To Cancer. Letâ€™s strive to better that number this year.